Lifestyle & Investment. 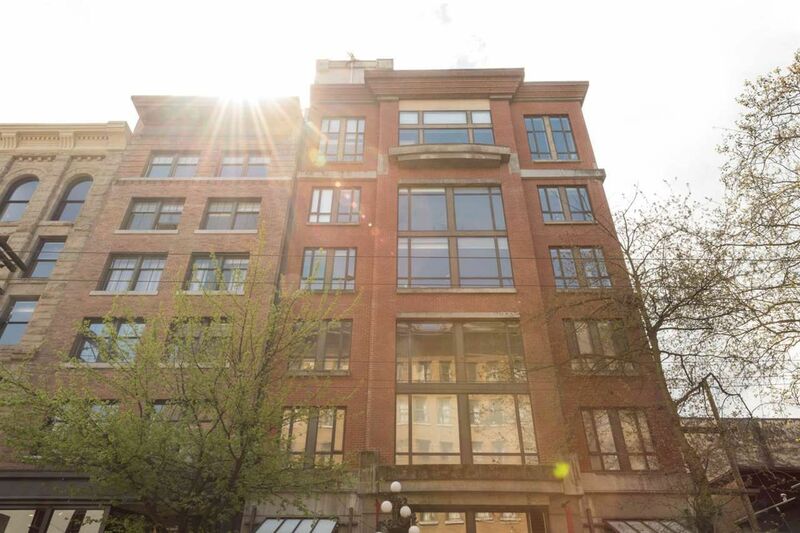 Introducing a 1 bedroom loft in the esteemed & rarely available Powell Lane Building. A true blank canvas and beaming with potential, this unique space boasts 10 ft ceilings, open efficient layout, efficient living, dining & kitchen areas, two separate storage areas and a 24' long covered patio spanning the home. Additionally, this property includes 1 onsite secure parking spot, External Storage Locerk, Bike Locker Room which is truly rare for Gastown at this price point. Pets Welcome, Rental Potential, Proactive Strata, Quality Building, Great Common Roof deck. This is the total package and awaiting a designers' touch. We can't wait to see what you do with it!